“From Home to Home: Jewish Immigration to America” is an interactive exhibit at the Jewish Museum of Florida that allows children and their families to experience the process of moving to a new home. Although the exhibit’s activities mainly focus on the experiences of Jewish immigrants, it presents issues that most immigrants share. For example, some of the activities require children and their families to use a real scale to weigh tangible arguments for staying or leaving their home, participate in a family conversation in Germany during the implementation of the Nuremberg Laws of the 1930s, decide which items are truly important to take and packing them into a small trunk, build a neighborhood and deciding on the character of a community through a democratic process, trying to fit a family of 10 into a small apartment and more. 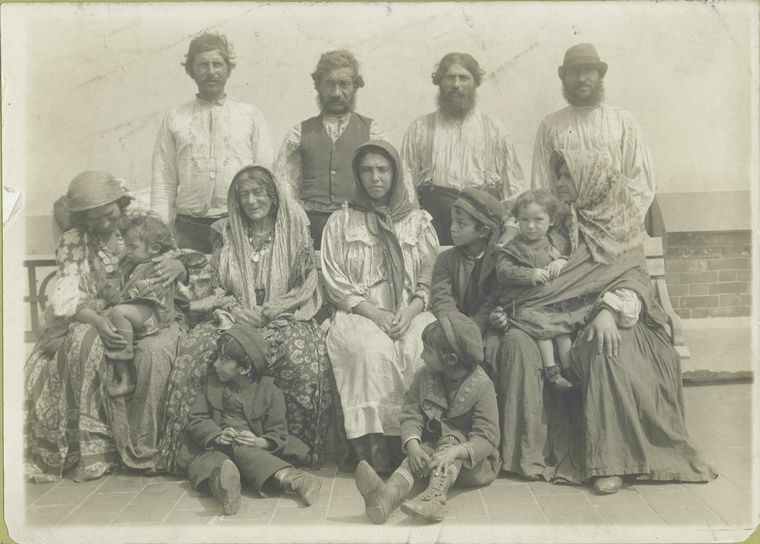 Although some of these activities present issues that can only apply to Jewish immigrants or other immigrant communities emigrating from a country similar to Germany, the exhibit teaches the public about common issues within the immigrant community, not only the Jewish immigrant community. “From Home to Home: Jewish Immigration to America” presents shared issues within the entire immigrant community from today and the past. It explores issues such as relocation to a new land, including leaving behind the familiarity of neighborhoods, schools, friends, food and language. These are common issues that immigrants from various regions of the world experience. Jo Ann Arnowitz, the museum’s executive director and chief curator, supports this idea by stating, “it’s really everyone’s story because everyone’s family comes from somewhere else and this gives them an opportunity to explore their own roots and go back and ask their own families where they came from, what made them leave, what did they take with them, and how was their experience alike, because many of the kids just don’t know much about their families’ backgrounds, so it’s a chance for them to explore the exhibit here and have fun while they’re doing it.” Despite the exhibit being designed for children ages 6-12, the activities require of adult participation such as from parents, grandparents and other caretakers. The exhibit has impacted the older generation immensely, as well, provoking nostalgic notions in many or acknowledgement and realization of the immigrant experience. Arnowitz explains,”I’ve heard a lot of people just looking at the pictures and say that it reminds them of things they’ve seen in their homes or stories they’ve heard from their parents or grandparents and I’ve heard really good responses from everyone.” Many of these adults having no Jewish descent connected with the exhibit because their family backgrounds resided within the immigrant experience. Overall, ethnicity can be a major aspect of identity, but the shared history and stories that come with the immigrant experience dominate all other aspects and unifies one community, the immigrant community. It’s great that such an exhibit exists. It’s important for people to become aware of the struggles immigrants face every day. The struggles and hardships are obvious but no one truly understands what immigrants go through unless they experience it firsthand. This exhibit/activity will be an eye opener for many and it may increase feelings of sympathy towards immigrants and their difficulties when coming to a new country and building a new life. I’m curious to know who designed these activities because it could make a big difference of whether or not the participants get a real feel of the immigrant experience. Of course, the designer of the activities has to be considerate of the fact that the participants are young children. It would be interesting for them to design activities specifically for adults. Either way, I’m glad such a museum exists because it’s important for people to be aware of the difficulties people face in their immigration journey. I agree with Manoush, I think it’s a special place to hold all the history and experiences of immigrants. While it cannot truly captivate their complete experience, it’s a very eye-opening thing and everyone should attempt to understand these people. I’m so happy that you wrote about this exhibit! Perhaps I will have a chance to visit it during my time in Florida. What I find fascinating is the fact that so many different peoples will be able, as you mention, to relate to the experiences of the Jewish community. In a state, and a city (the Museum is located in Miami Beach) where so many different immigrants live, I would guess that it has probably become a center solidarity amongst residents in South Florida. Regardless whether you are from Latin America, Europe, or Asia, many people will connect with the experiences explained in the Museum.